Buy more than one keyring and save. 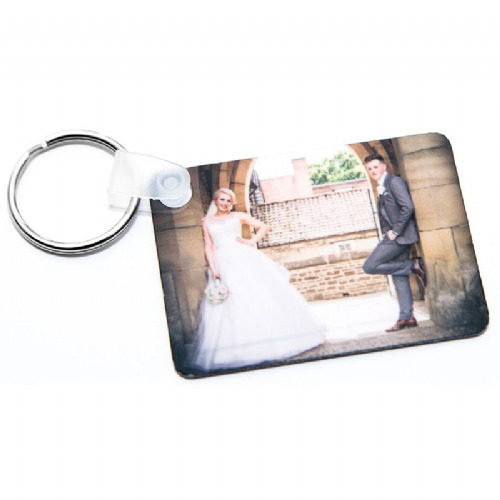 Our Double Sided Photo Keyrings make great personalised photo gifts and here you can have your photos on a tough clear acrylic photo keyring. 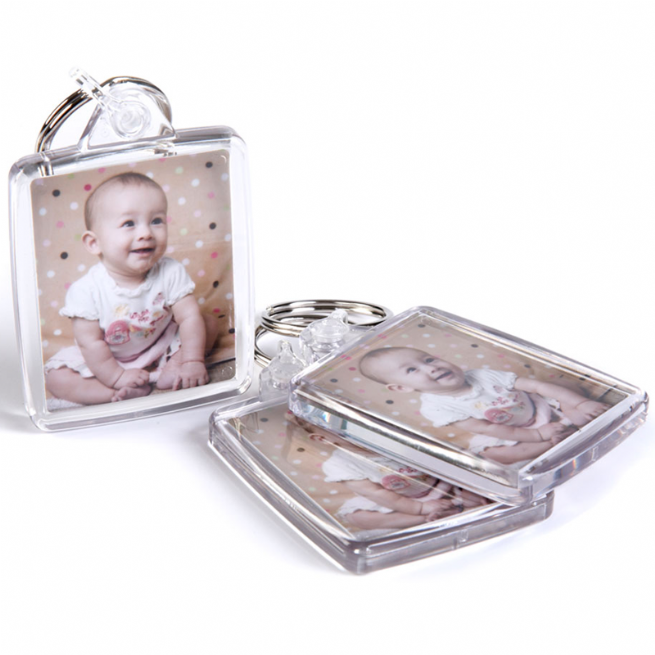 Passport size, which can be personalised with the same photo or two different photos, one on each side of the keyring. Even add a name etc to the photos at no extra cost, just leave details in the special request box above. 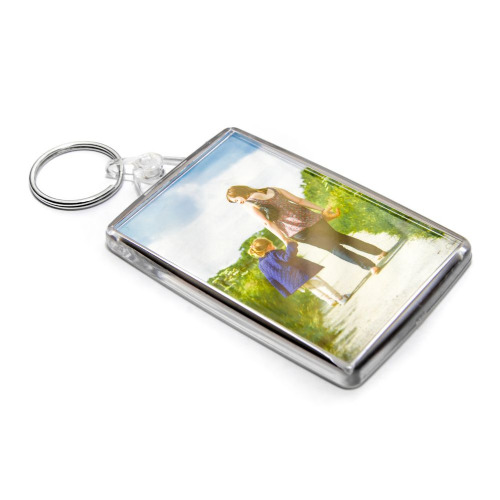 Each keyring holds two photos sized at 45 x 35mm and are shipped via Royal Mail. 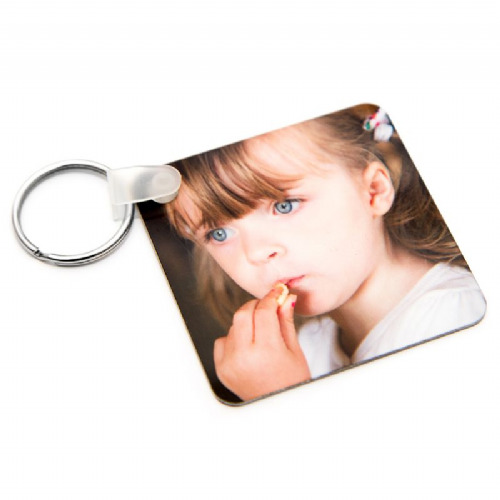 To receive a multiple quantity discount the keyrings images and the design must be the same. Beautiful product, got to me very fast, little bag of sweets made my kids happy. Nice product, good communication with seller & quick delivery. Thanks. Arrived today in perfect condition, fast delivery. Thank you. Great gifts for friends and family. Excellent service and great quality products. Customer service is excellent great value for money. Very happy customer will highly recommend. Really pleased with these keyrings - faultless service from 2bprint and received within 48 hours of placing the order. Quality is excellent and colours are true. I purchased 30 keyrings to gift to my class. They came out absolutely amazing. The service, correspondence via email has been exceptional. Thank you so much for the efficient service. I ordered 3 different photo key rings. There was an issue with my uploaded photos, 2bprint called me the same day and sorted it out for me. Great friendly service and very fast delivery.